A flow meter measures both conductive and non-conductive fluids, as well as gases and can be used to totalize or monitor the rate at which media is flowing through a given space. Flow meters can also be referred to as flow sensors, flow gauges, flow indicators and flow switches. The difference between a flow meter and a flow switch is that at preset rates, flow switches will initiate alarm actuation or automatic system shutdown. They are various types of flow meters. Piston type flow meters are designed for low flow rates in gases and liquids. Shuttle models are used with high flow rates. Paddle models are for larger line sizes. Thermal dispersion technologies feature no moving parts and electronic flow switches include electronics and positive visual indication. 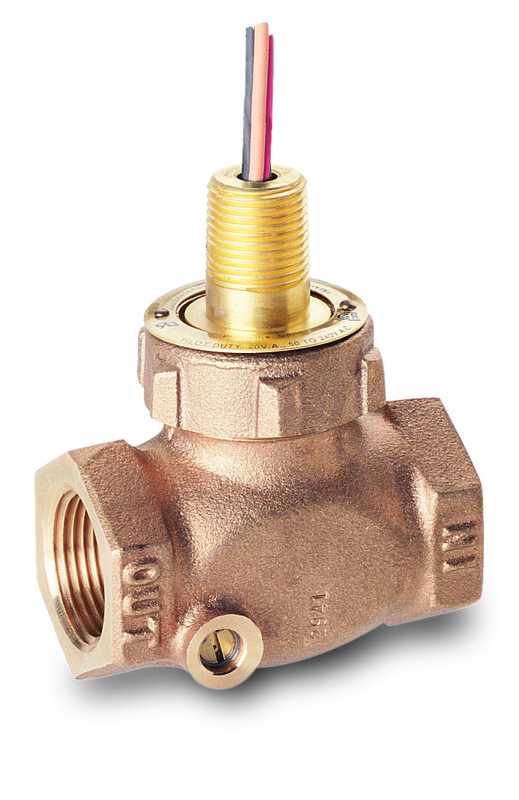 This flow sensor is designed for moderate to high liquid flow rate applications. It has a broad media compatibility (Polypropylene, Brass & 316 Stainless Steel bodies with polysulfone lenses) for wide application adaptability. 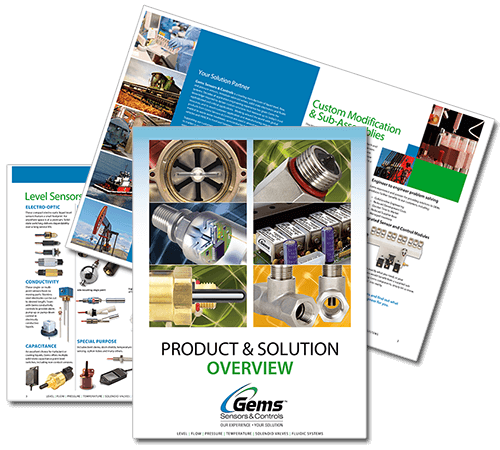 Download the free product guide. 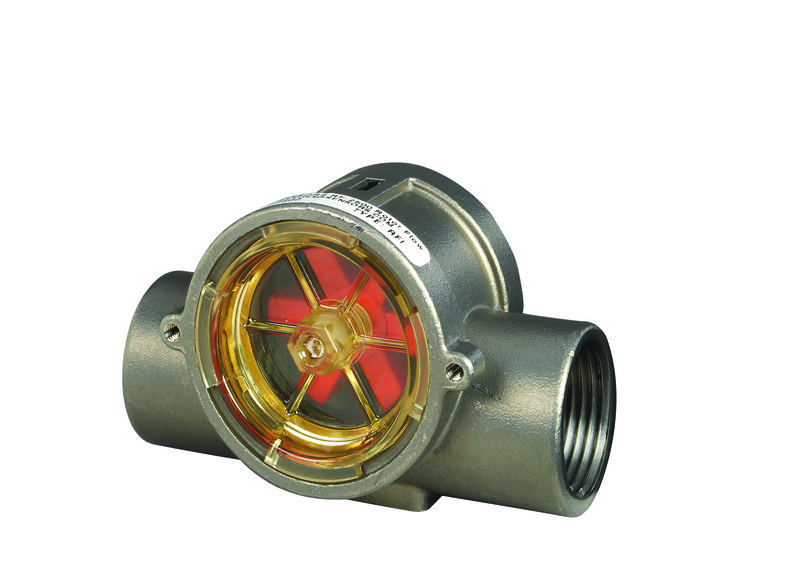 This flow sensor’s compact, inline design that is tolerant of particulate making it clog resistant. It’s also constructed of durable polypropylene to tolerate harsh chemicals and environments, wash-downs and flushing. 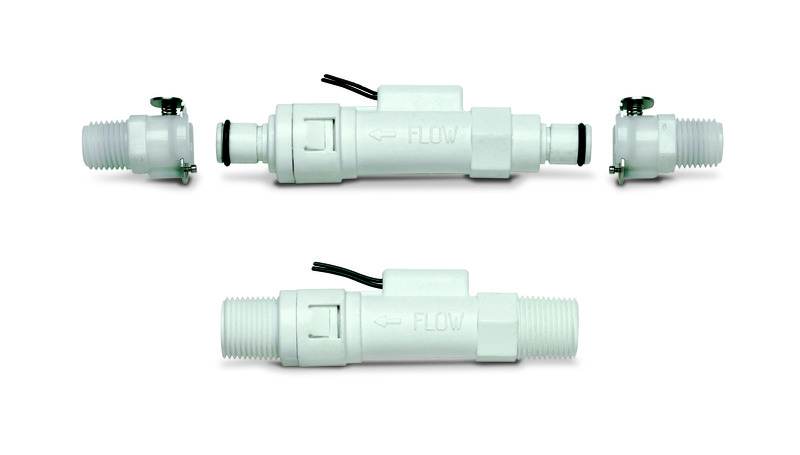 These flow sensors provide bright visual indication and electrical output and can include continuous output or discrete switching. To learn more, visit www.gemssensors.com/flow.